YouTube-sensation Double Rainbow guy, aka Paul Vasquez the “Yosemitebear Mountain Giant,” helps explain how and why his clip went viral. “WHAT DOES IT MEAN?” cried YouTube-sensation Double Rainbow guy, whose trippy experience witnessing a pair of colorful streaks in the sky caught fire on the Web recently, and amassed more than 1.5 million views. Indeed, what does it mean? 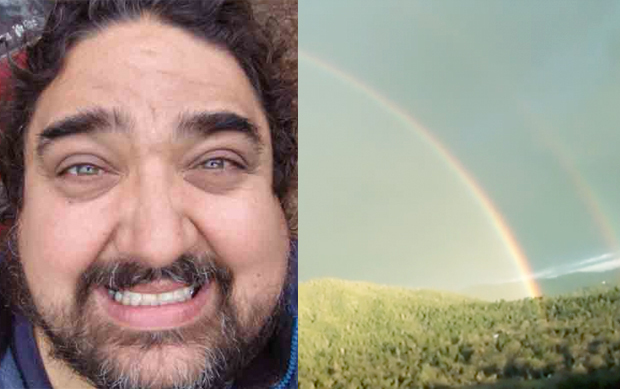 For Double Rainbow guy, aka Paul Vasquez (the “Yosemitebear Mountain Giant”), it was the bedazzling wonderment of dual rainbows that provoked the question. Here at Fast Company, we’re more interested in figuring out what it means for the clip to have gone viral as part of our chronicle of the social graph, The Influence Project. Is Vasquez just another popular, soon-to-be-forgotten YouTube star? Will he ride the wave of “success” across the Web, like a unicorn atop a rainbow? Does Vasquez now have influence? Is “influence” even the right term to use? While Vasquez claims he foresaw the video becoming an Internet phenomenon, it’s hard to imagine such prescience coming from a guy who spent three-and-a-half minutes shrieking into a shaky camera about rainbows. Yosemitebear explains that after uploading the clip to his YouTube page, which was already filled with some 200 videos, he linked to it on Facebook and showed it to as many friends as possible. In other words, he tried to spread it across his social networks. Soon, Double Rainbow was streaking toward viral super-stardom, with spin-offs–from Muppet mash-ups to auto-tuned versions–and a call from CBS. 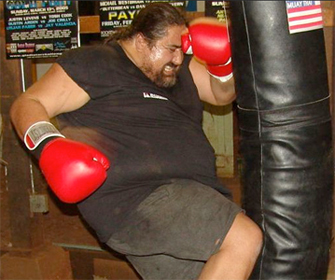 But for Vasquez, who bears a striking resemblance to Lost‘s Hugo “Hurley” Reyes and makes a living in Yosemite raising Queensland Heelers and wild turkeys, the popularity is nothing he wanted; rather, he’s just glad to have shared the “spiritual” experience with so many people. Of course, speaking with the man behind Double Rainbow about how videos go viral isn’t exactly scientific–after all, this was the guy who spent minutes describing to me the overwhelming beauty of the rainbow: “It started to double! Then it turned into a triple! Then a complete circle, like a complete disc of color! Like a giant eye looking at me! You could feel the rays, like of the sun, but it was rainbow rays!” It’s probably no better than asking the Star Wars Kid for tips on fight choreography. But Vasquez does represent a prime fixture of the Web–someone who has gone viral without intention, who has popularity but perhaps no influence, and could care less about ego (unless it was a drug-induced Freudian-examination of his dreams). If anything, Double Rainbow guy illustrates how difficult it is to define what “influence” and “popularity” mean online.